Birmingham Royal Ballet makes a welcome return with a family-friendly programme danced to live music from the Royal Ballet Sinfonia. 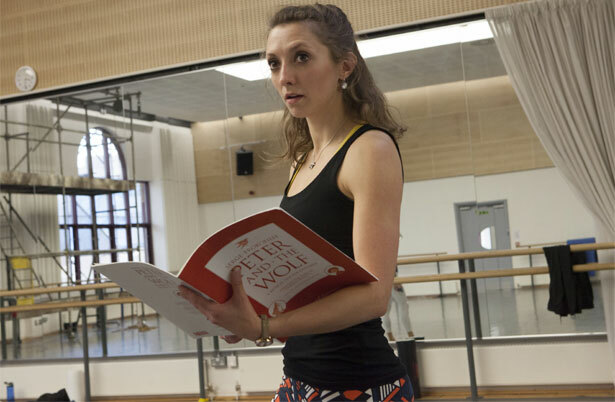 Classical ballet, spoken word and eye-catching physical theatre combine in a reimagining of Sergei Prokofiev’s classic Peter And The Wolf, with narration by poet Hollie McNish. Join our heroine, Peter, and her best friend, Bird, as their day out takes an unexpected turn. Seasons In Our World, inspired by a poem by ballet-fan and Lord Lieutenant of Northampton, David Laing, explores the relationship between the cycle of the seasons and individual human lives and communities. Set to a new score from award-winning composer Cevanne Horrocks-Hopayian. "FROM TOP TO BOTTOM THIS IS A SERIOUSLY GOOD COMPANY"
"THIS IS A COMPANY OF EXUBERANT FORM"